To understand the need and role of the family in the cause of Nation-Building, Vision India Foundation organized a two-day workshop on the theme of “Family for Change” in Haridwar on 4th-5th November. 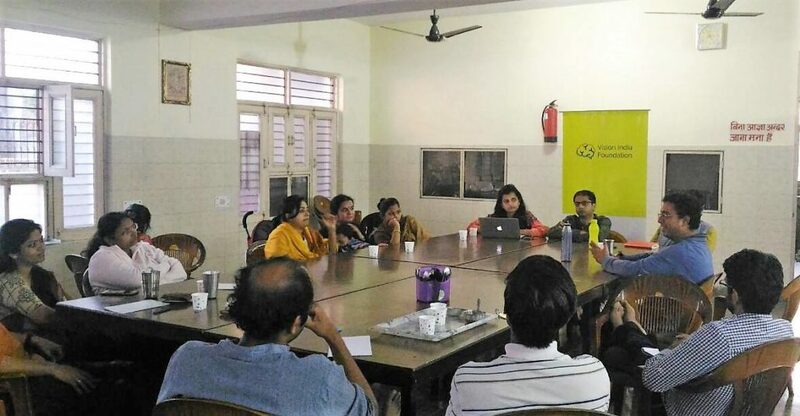 Families came from Haryana, Hyderabad, Roorkee, Gujarat, and Delhi to discuss and deliberate on the importance of family as an institution and nurture it as a Change Agent. The discussion started on the Indic-view of Family and its relevance in our culture. Indian thought always tries to learn from nature and is informed by nature. In its design of society, the base unit for which is family, it can be compared to the human body which is a microcosm of Nature. Just as in nature, in the body as well, different organs contribute by performing their function towards the effective running of the body as a whole. This relationship is neither transactional nor one-sided as the organs themselves benefit from the overall functioning of the body. So, it is an organic fusion based on individual parts doing their job or dharma. In the Indic thought, family structure is also imagined this way, each member of the family doing his/her job according to svabhava and gaining from the whole. Our pursuit is harmonious integration. Unlike in the individual, every societal aspect can be easily mirrored in the family – let it be cultural, social or political. There are five functions of the family: a) facilitates societal growth, b) ensures the professional and economic growth of society and individual, c) foundation to emotional and spiritual growth, d) keeps alive various religious practices and e) takes care of aspirations of every individual. In a family, we think about refinement than survival. On the question of how does family grow, everyone held a consensus that family grows when it works for the society just as an individual. When family misses the connection with the society, it creates trouble for individual, family, and society at large. Society needs service and community are living and organic. 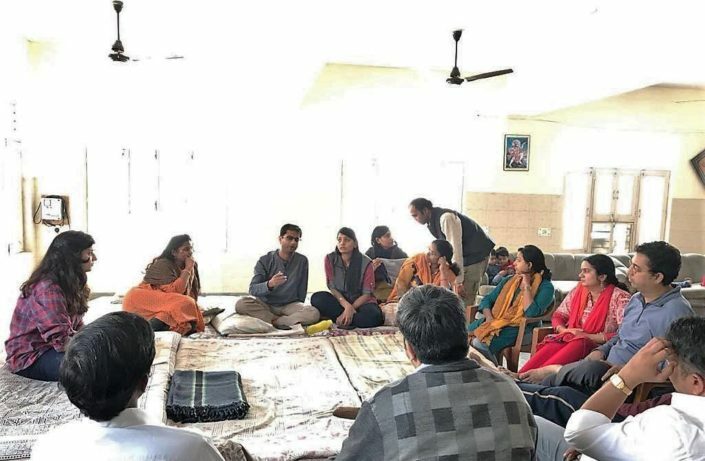 It is important that the family understands the need for contributing to the larger cause by involving themselves in work that helps them and the entire nature. All of us understood the practical aspects of sudden indulgence of a family for the social cause. Thus, we discussed the initial steps of contributing to society. 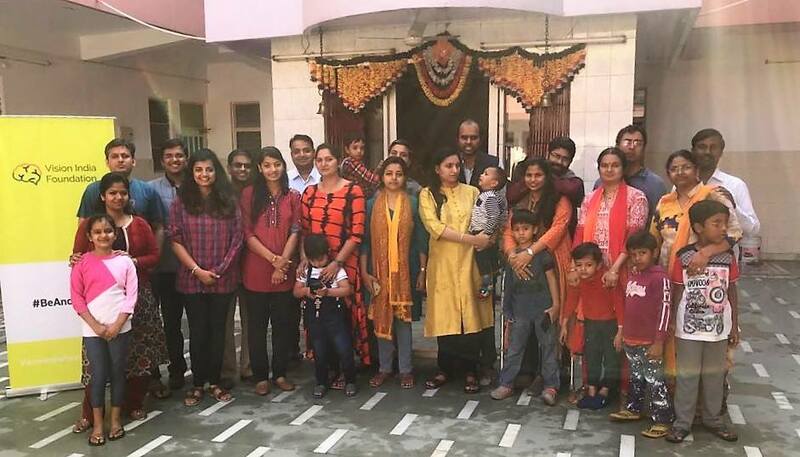 One example is celebrating birthdays in the Gokul Theme – this included Tulsi Plant as a return gift, cake as a matki and playing Krishna Bhajans. Another interesting way of celebrating an occasion could be organizing lunch for families of people who help us out in our day-to-day activities like Watchmen, Maid etc. In historical times, any profession was the task of the family and not of the individual and thus, work and life were not balanced but integrated. In contemporary times, it is difficult to replicate it but it is important that we understand the principle and practice it in the current context. Social Contract Theory which says that societies are formed because individuals have personal interests and they get fulfilled when everyone comes together. Political authority is required to fulfill the expectation. Going by it, a family is also a social contract. However, Hindu dharma is based on interdependence. We derive authority from society and not any political body. Today, there is constant pressure on individual rights but what we need is a more holistic approach. It is important that we consciously reduce our consumption and teach our next generation the relevance of family. Spiritual orientation should be developed in the family with parallel alignment of our lifestyle at workplace and home. Families should revisit the significance of festivals and not consider them as an extra obligation. Another crucial discussion was around the role of gender in the family. There is a significant change in work, the lifestyle of women than understood before. It is important that as a society, beginning from family we redefine the role of men and women. Feminine energy and masculine energy should be appreciated equally and none of them should be superimposed on another. 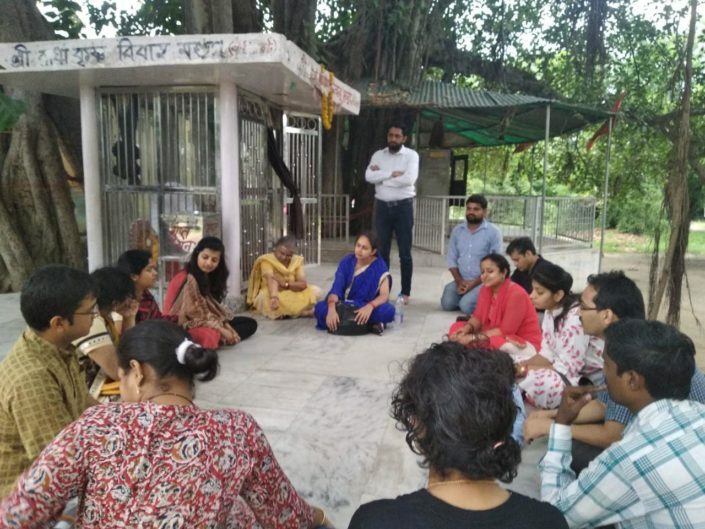 While current discourse of feminism is pressurizing women to be in a space made for men, we vouch that women should create an independent space for themselves which celebrates their qualities and understands their concerns. Our idea of feminism is not to fight masculinity but to balance it with the changing times. Sudden change is never good for the family or society, thus, there should be enough freedom of choice for women to be able to pursue their interests. Today, when most of the women look for equality in the economic spheres, we vouched for celebrating the aesthetic value. If a female has more of masculine energy, she should be given the space to enjoy it and if a man has more of feminine energy, he should be given the space to celebrate it. This change will take time and we as a society should come together and fight for it. Anand and Mahiti Bulusu are from Delhi and stay in Roorkee. Anand is a professor at IIT Roorkee. Mahiti is practising law. They have a 4 years old son who is fondly called as Gannu. Shirisha Ravikanti and Anil Kumar Gourishetty got married on teachers day i.e. 5th September 2007. 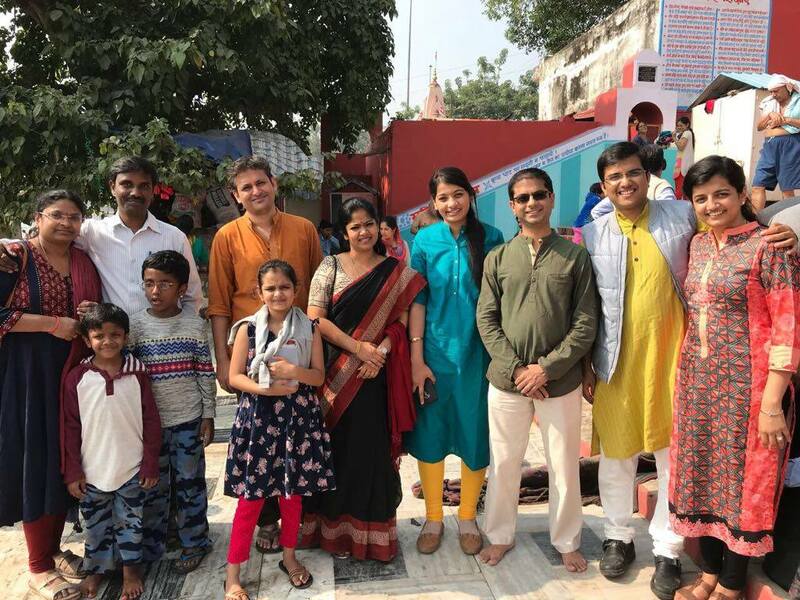 Shirisha’s father is a businessman in Jammikunta city, Karimnagar district, Telangana state and Anil’s father is also a businessman in Warangal city, Telangana state. Mothers of both Shirisha and Anil are housewives. Shirisha has 2 sisters and Anil has 2 brothers. Blessed with 2 boys Advait (8 years) and Suhas Chandra (6 years). Recently celebrated one decade of married life. Residing in IIT Roorkee since 2011. Currently, Shirisha is running a textile business from home and Anil is a faculty member in the Dept. of Physics, IIT Roorkee working in Experimental Nuclear Physics. Eshita and Parag stay in Delhi. Parag Singla is a professor at IIT and is engaged with various student-based initiatives on IIT Delhi Campus. Eshita Gupta is an Associate Director in the department of infrastructure and government services with KPMG. They have a charming son – Chaitanya. With the support of their parents, they nurture him with the values of Krishna. Ram and Ila reside in Roorkee. Professor by profession, Ram ji guides PhD students of IIT Roorkee. Ila beautifully manages home and their very naughty son. Public figure married a simple homemaker. Jigar is a political leader who currently looks after the school on public policy at the Maharaja Sayajirao University of Baroda. Vibha manages the public school in Baroda. They were blessed with a boy 8 years ago – who loves Bahubhaali and wants to grow like him one day. Nomesh and Meeta aspire to be made for each other like Rama and Seeta. It is said that Rama and Seeta had all 36 “Gunas” matching in their horoscope, and the number is 33.5 for Nomeeta. They got married on 27 June 2010 amidst a thundershower, and heavy downpour. The night proved to be a peek into the future, as Nomesh and Meeta have had a roller coaster of an adventurous life together. They both come from illustrious families. Meeta traces her descent from Samrat Vikramaditya, while Nomesh from an erstwhile Chief Minister of Mewar. Both their families sometimes forget about this extraordinary background, but hopefully will someday aspire to live up to it. Meeta grew up in Udaipur in a joint family, lovingly raised by a doting father (who used to work for RSMM), and a do(mina)ting mother. Nomesh, on the other hand, grew up under the wings of his mother’s love-innocence all over India, a gift and hazard of his father’s transferable job at the Bank of Rajasthan. They are blessed with Medhansh, their 6-year-old bundle of joy, hope and aspiration for the future. They keep themselves occupied through service of Bharat Mata through VIF, AINA and more. Nomesh has managed to integrate his work life of an IIT Delhi professor well with his devotion to India, and Meeta, along with being the administrative manager of Unnat Bharat Abhiyan (at IIT Delhi) now aspires to be a changemaker in the area of Indic content-development and food. They wish and pray that their life, along with that of all in their family, can be suitably offered and surrendered to their most important presiding deity, Mother India. Raghav and Reena met in 2001 while working for GE in Hyderabad and promptly married 5 years later – Between them, they cover the cultures of 4 of the 5 South-Indian states – Raghav worked in the IT/Gaming Industry for 15 years before deciding to move out of corporate and pursue his passion of contributing to the Nation Building Movement through the VIF Fellowship program – Reena works as a Sr.Manager in TCS, her specialization is in Risk and Compliance in Retail Banking and has a track record of executing multiple transformation projects across different geographies – They have 8-year old daughter – Sahiti. 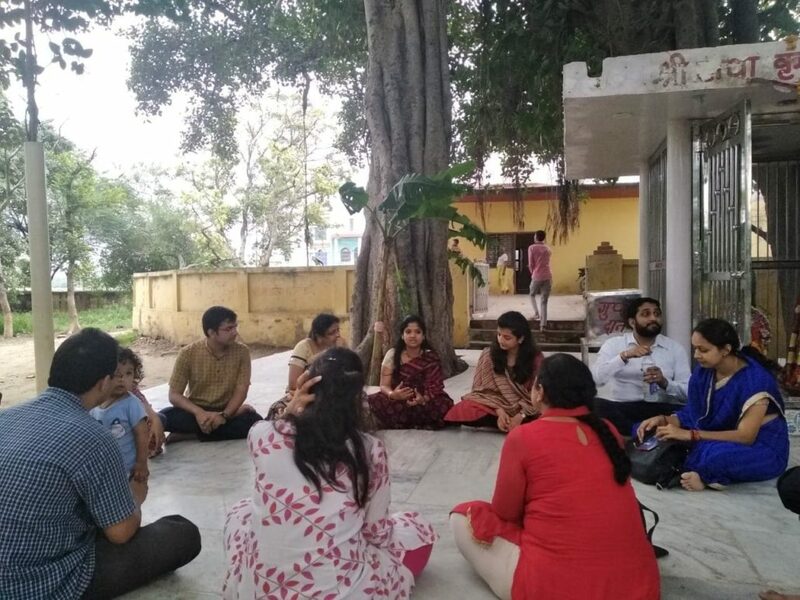 They cherish the responsibility of synthesizing the multiple perspectives and life-experiences they’ve had by virtue of their diverse backgrounds to try and provide authentic ideas of the world for Sahiti – They hope she grows to be capable of dealing with and contributing to the world in contemporary terms, grounded in the nourishment that the rich Indic roots provide. When an IIT guy meets a girl from Lady Shri Ram College, they are supposed to talk sensible things. However, our first meeting was a mix of an interview and a date. In the second meeting, when Sahil vanished from the tea shop without paying the bill, Soumya decided not to marry him. But as destiny would have it, they got married in February 2017 in the most beautiful location of India – in front of Taj Mahal. The ‘coolness’ of his parents is reflected in Sahil’s nature. Guided by father who loves taking a leap of faith and Maa who is cheerful and strict, Sahil’s life has always been inspired by them. Soumya comes from Ghaziabad with multiple sets of guiding forces. Her brother, bhabhi, her Sister and Brother-in-law have inspired her as much her parents. Teased as Public Policy Couple, Sahil and Soumya work together in four organizations. Both of them are learning to manage time amongst various works and family responsibilities. They love travelling, reading and watching movies together. They blog at soumyasahil.com sharing their experiences and ideas. Their passion to work for the nation unites and energises them. Vidheeta and Shobhit got married in 2012, the year that was popularly predicted to be the end of the world! Fortunately, the world thrived and so did their marriage. They both have an MBA but apply different aspects of it in their professional life at Vision India Foundation. Vidheeta checks the nuts and bolts, by managing the accounts and finance; while Shobhit focuses more on the cockpit, navigating the organization. It has been a great flight so far, with the usual turbulence that adds to the fun. Nation building is an integral part of their personal, professional and social life.